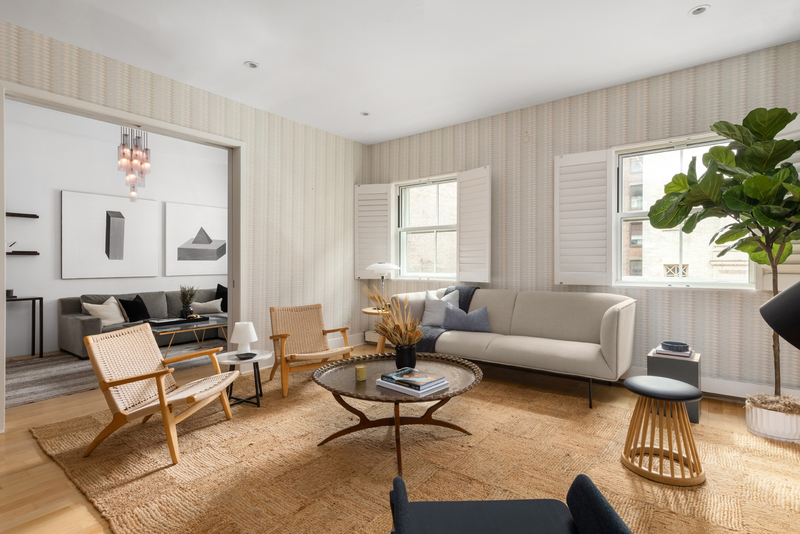 Located in the heart of Flatiron, 29 West 19th street is a luxury boutique condominium with only five apartments in the building. 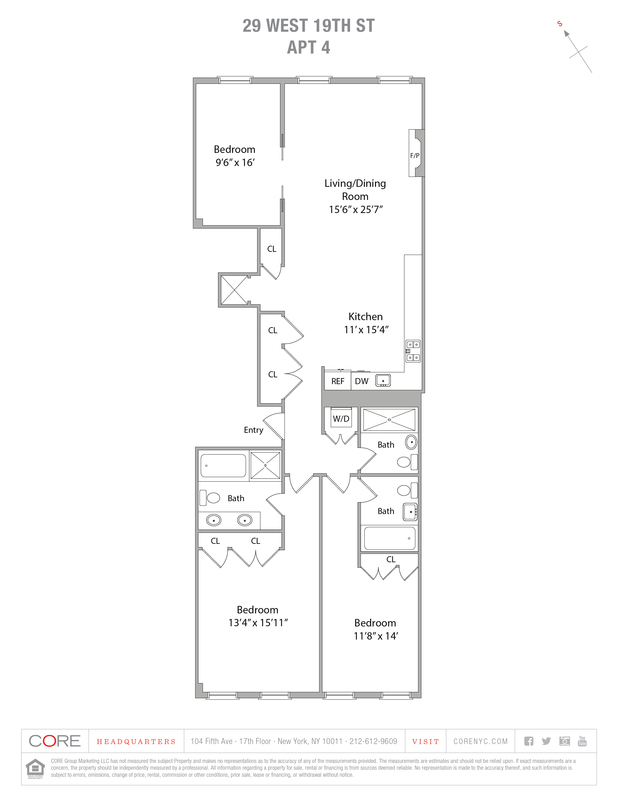 Apartment 4 is a full-floor loft boasting 1,816 square feet, a gas fireplace and private keyed elevator access. Upon entry, you are greeted by 10-foot high ceilings and generously sized living and dining areas illuminated by two large windows with shutters. The massive chef’s kitchen provides ample storage, modern appliances, kitchen island with seating and gorgeous finishes. The spacious master bedroom offers two north facing, shuttered windows and five-piece bath complete with soaking tub and glass enclosed shower. The second bedroom offers an en suite bath while the third can be found through thoughtful pocket doors off the living room. It is currently configured as a perfectly oriented den. Additional amenities include central AC, in-unit washer/dryer and basement storage.